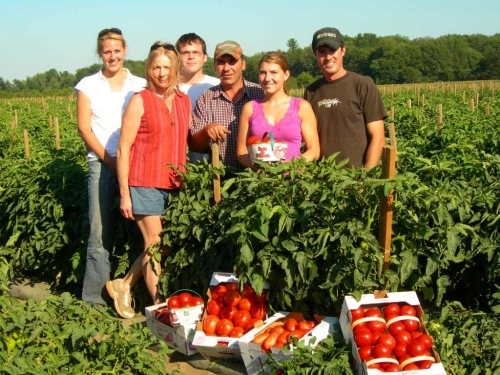 Shabatura Produce is a multi-generational family owned and operated farming business in the heart of Norfolk County which has been handed down from father to son since its beginning in the early 1900’s. Our predecessors have spent countless hours and shed sweat and tears building up our business and reputation to where it is today. We are now in our 4th generation of growing fresh fruits and vegetables for North Americans and proud to operate in an environmentally sustainable manner. Shabatura Produce is dedicated to maintaining the highest quality of produce through strict adherence to federal and provincial food safety laws. We strive to provide a safe and pleasurable working environment for employees and an enjoyable customer service experience for consumers. Our success is due in large part to our commitment as well as our enthusiasm for utilizing innovative farming methods.